I think it makes perfect sense. A ghost can't die, because it is already dead. It can't get dead-er. 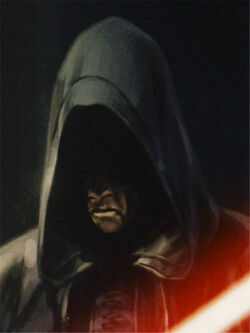 Darth Bane was...you might consider Darth Nihilus to have been one... He kept his consciousness in his armor and mask, which kept him alive, but he appeared to be a Force Ghost. In a comic, Luke and Vader fourght one-on-one between episodes IV, and V (Lucas made that canon) and Obi-Wan possessed Luke, and fought Vader once more. The surprise of this fight? Vader's right arm got cut off...again. Wow, that's like five times now Vader/Anakin has lost an arm! In some ways he was more powerful as he was able to advise and support Luke at times when he may not have been able to have done before. Not being able to help at Hoth was a way that he was not more powerful, but he could have guided Han there through the force.